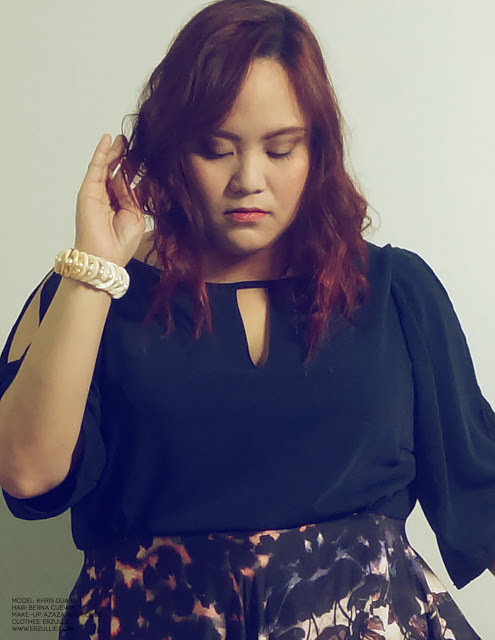 PLUS SIZE FASHION: ERZULLIE ICONS CONTRACT RENEWAL! It's a new fierce year for all of us and how can we make it fiercer? Easy --- get Erzullie Icons on board! Don't worry ladies. The search for the new Erzullie Icon has not yet opened. However, we did renew the contracts of plus size models Carol Perla, Chezka Santos, Loren Monares, Audrey Lee and SURPRISE --- Khris Guarin. Yes, ladies. One of the earliest Erzullie Icons --- Khris Guarin --- is back to serve you some fierceness. We are excited to have her back again. That's basically it ladies. Looking forward to making the fiercest Erzulliesta photos we can ever make.